Is there an easy way to for a user to choose modern page as a home page on a team site? 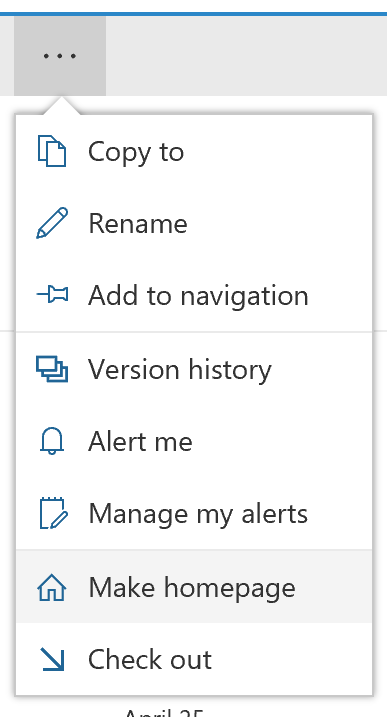 I've created a modern team site (O365 group) and was able to choose a classic wiki page as a home page using a button in the ribbon. But there is no such button on modern pages. That sounds like a huge drawback. "Welcome page" will appear in site settings. Use it to choose any URL for a home page. But is there any other easy way for common users to do it themselves? Something like a button in the ribbon would would be great. Am I missing something? 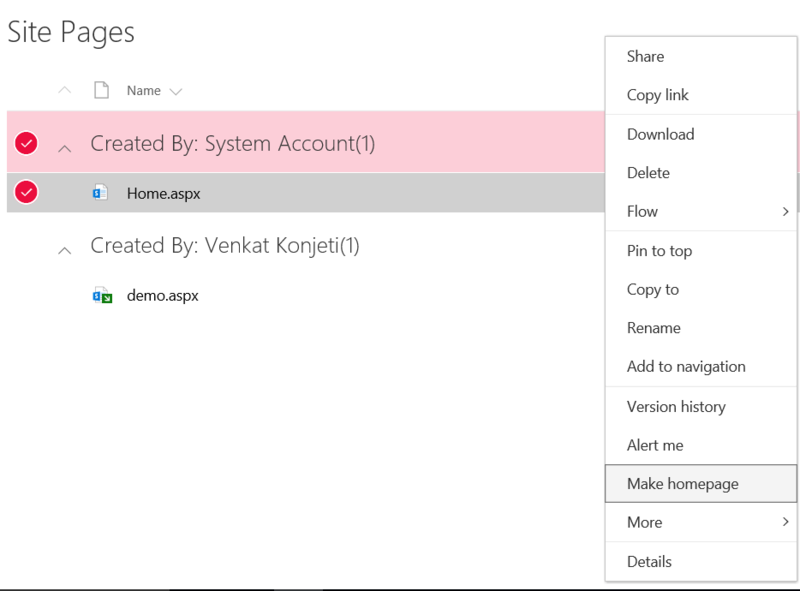 You can set a modern page as the home page. Go to the pages library. Select the desired page, on the top click ... you will see 'Make homepage' button. Other way is right click on file for options and select the "Make homepage" option. Note that if you create a new Site Page, make sure to Check In the page before you will see the "Set as Home Page" link show up in the modern ribbon. Make sure that your Site Pages library is using the New experience. You can enable it in Library settings > Advance settings > List experience. Not the answer you're looking for? Browse other questions tagged sharepoint-online office-365 modern-experience modern-pages or ask your own question.